One in five Americans will be diagnosed with skin cancer, and over 85% of melanoma skin cancers and 90% of nonmelanoma skin cancers are directly associated with damaging sun rays. 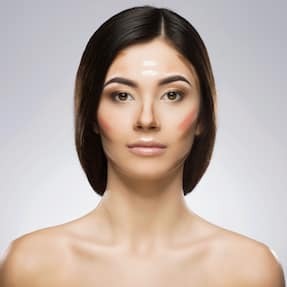 In addition to risk for skin cancer, exposure to ultraviolet rays is also the culprit for signs of aging which includes: wrinkles, hyperpigmentation, sagging skin, and vascular problems. 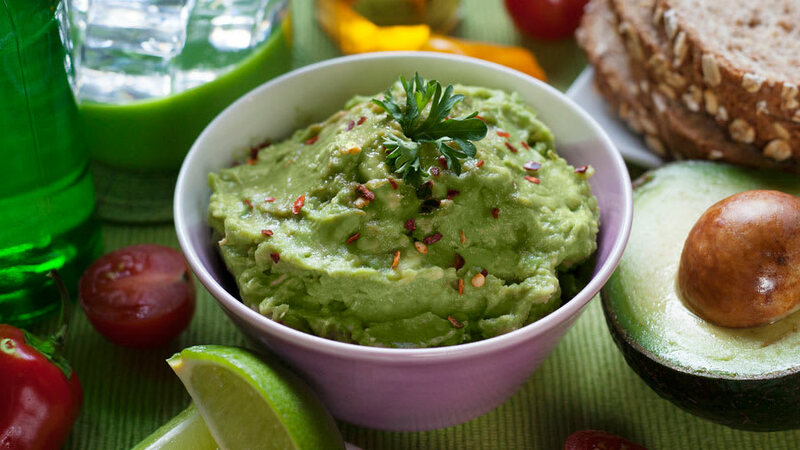 In addition to seeking shade and diligently applying a broad-spectrum sunscreen each day, you can achieve added protection by eating foods that naturally protect against harm caused by ultraviolet radiation. Ultraviolet rays from the sun cause oxidative damage to our skin, creating reactive oxygen species that impair cells, DNA, and structural components within the skin. 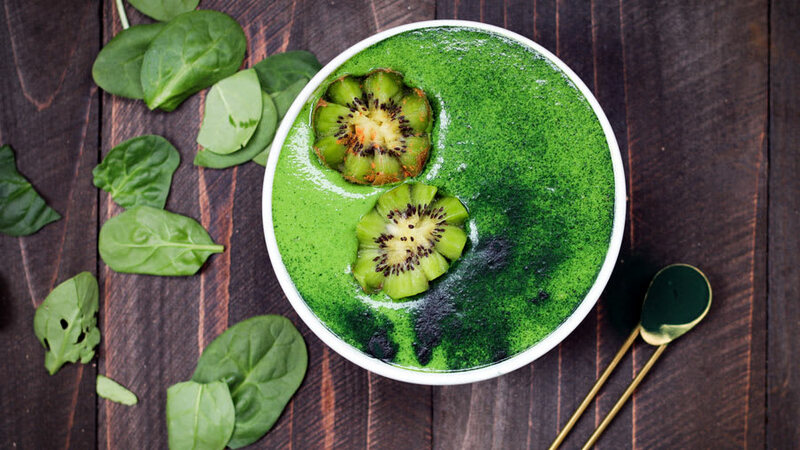 By eating plants containing protective antioxidants, we can increase the antioxidant capacity of our bloodstream and tissues to have greater protection. 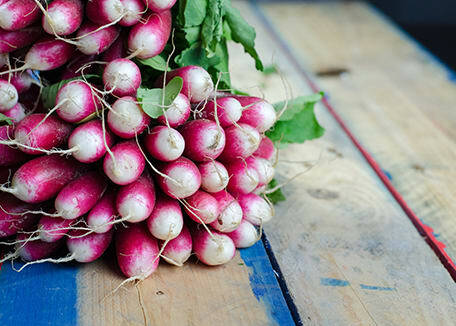 The following ten foods not only provide powerful and important nutrients for overall wellness but also contain key compounds that can naturally prevent damage caused by harmful sun rays. 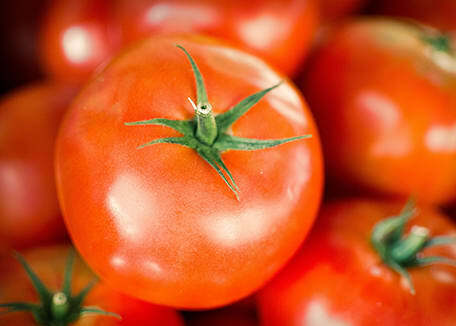 Tomatoes contain a powerful antioxidant called lycopene, which is believed to exert sun protecting benefits. In a study published by the British Journal of Dermatology, 20 women who ate 4 tablespoons of tomato paste every day for 3 months had significantly less sunburn when exposed to ultraviolet radiation than women who did not eat the tomato paste. 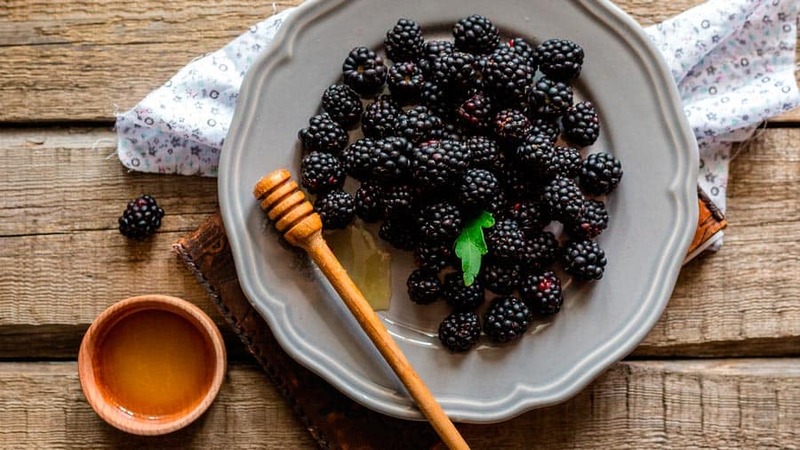 Berries (as well as oranges and kiwis) are rich in antioxidant vitamin C and a powerful antioxidant called ellagic acid, which has potential anti-skin cancer benefits. Carrots are rich in beta-carotene, which prevents sun damage and photoaging. 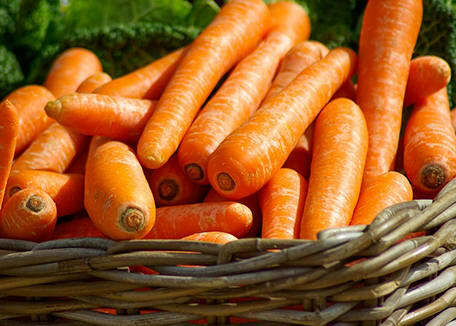 In a Korean study, 30 women who received about six carrots worth of beta-carotene daily (30 mg per day) for 3 months had improvement in signs of photoaging. 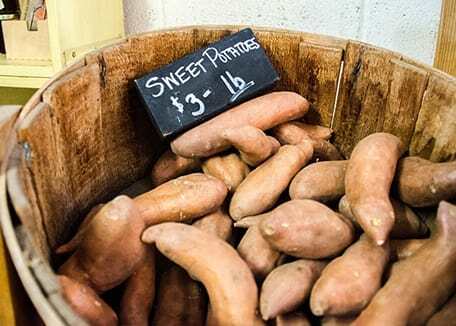 Sweet potatoes are another rich source of skin protecting beta-carotene and can be enjoyed in a variety of dishes. 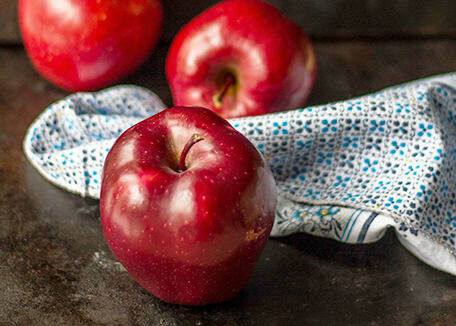 The beautiful scarlet colored skin of Red Delicious apples contains a compound called triterpenoids, which were shown in a study to block and kill cancer cells. Another family of potent antioxidants in red apple peels are anthocyanins, which also have cancer preventative benefits, and is a healthy addition to your daily diet for improved skin health. In moderation (only a few ounces per week), dark chocolate provides antioxidants called flavonoids and phenolic phytochemicals, even more than black tea and green tea. In one study, 30 healthy subjects were given either “high flavanol” chocolate or “low flavanol” chocolate levels for 3 months. 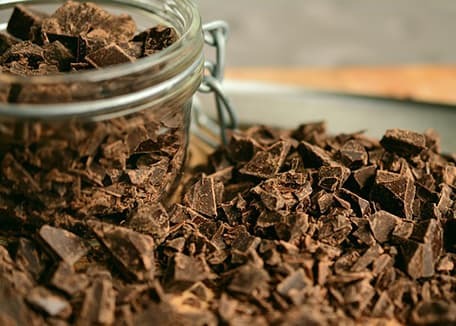 The women who received the flavanol-rich chocolate had significantly less skin redness upon sun exposure compared to the low flavanol group. Look for dark chocolate with a high percentage of cocoa in order to get high flavanol content. 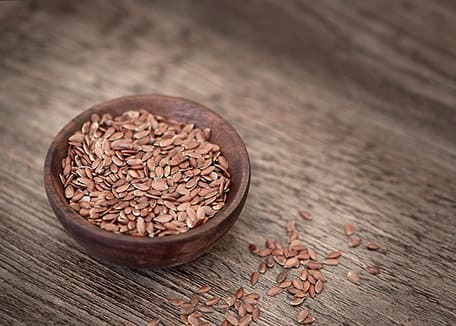 Flax seeds (along with walnuts and fish) are rich sources of omega-3 fatty acids. 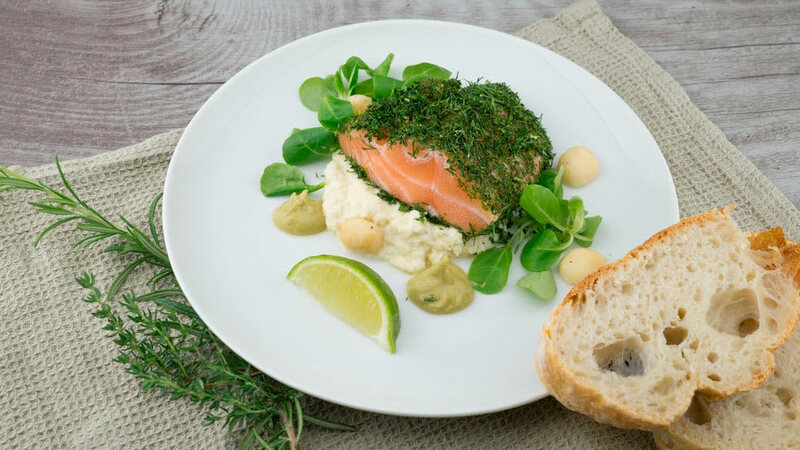 There is evidence that people with diets rich in omega-3 fatty acids have a reduced risk of developing skin cancer. Robinson JK. Sun exposure, sun protection, and vitamin D. Jama.2005;294(12):1541-1543; PMID: 16193624. Koh HK, Geller AC, Miller DR, et al. Prevention and early detection strategies for melanoma and skin cancer. Current status. Arch Dermatol.1996;132(4):436-443; PMID: 8629848. Flament F, Bazin R, Laquieze S, et al. Effect of the sun on visible clinical signs of aging in Caucasian skin. Clin Cosmet Investig Dermatol.2013;6:221-232; PMID: 24101874. Rizwan M, Rodriguez-Blanco I, Harbottle A, et al. Tomato paste rich in lycopene protects against cutaneous photodamage in humans in vivo: a randomized controlled trial. Br J Dermatol.2011;164(1):154-162; PMID: 20854436. Stoner GD, Wang LS, Casto BC. 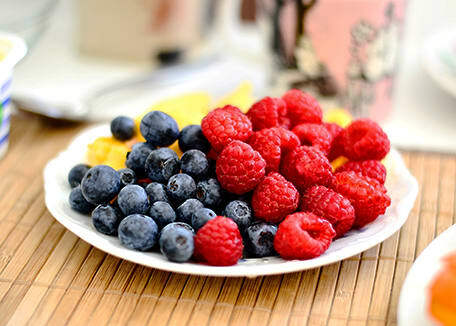 Laboratory and clinical studies of cancer chemoprevention by antioxidants in berries. Carcinogenesis.2008;29(9):1665-1674; PMID: 18544560. Cho S, Lee DH, Won CH, et al. Differential effects of low-dose and high-dose beta-carotene supplementation on the signs of photoaging and type I procollagen gene expression in human skin in vivo. Dermatology.2010;221(2):160-171; PMID: 20516658. Juturu V, Bowman JP, Deshpande J. Overall skin tone and skin-lightening-improving effects with oral supplementation of lutein and zeaxanthin isomers: a double-blind, placebo-controlled clinical trial. Clin Cosmet Investig Dermatol.2016;9:325-332; PMID: 27785083. Grether-Beck S, Marini A, Jaenicke T, et al. Molecular evidence that oral supplementation with lycopene or lutein protects human skin against ultraviolet radiation: results from a double-blinded, placebo-controlled, crossover study. Br J Dermatol.2016;10.1111/bjd.15080PMID: 27662341. Ascenso A, Pedrosa T, Pinho S, et al. The Effect of Lycopene Preexposure on UV-B-Irradiated Human Keratinocytes. Oxid Med Cell Longev.2016;2016:8214631; PMID: 26664697. Perkins-Veazie P, Collins JK. 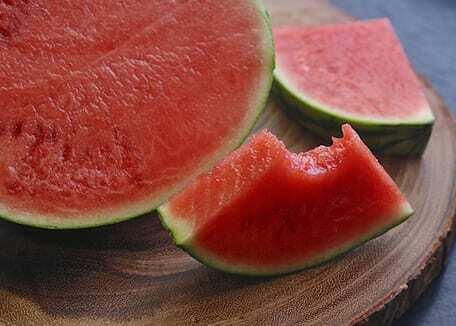 Lycopene content differs among red-fleshed watermelon cultivars. Science of Food and Agriculture.2001;81(10):983-987; PMID. He X, Liu RH. Triterpenoids isolated from apple peels have potent antiproliferative activity and may be partially responsible for apple's anticancer activity. J Agric Food Chem.2007;55(11):4366-4370; PMID: 17488026. Gerhauser C. Cancer chemopreventive potential of apples, apple juice, and apple components. Planta Med.2008;74(13):1608-1624; PMID: 18855307. Roh E, Kim JE, Kwon JY, et al. 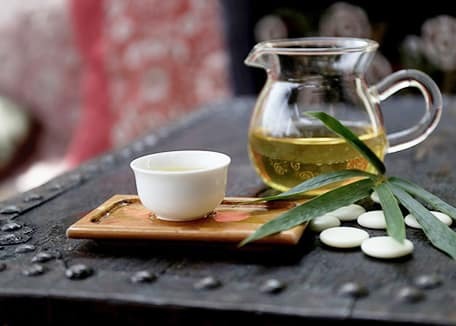 Molecular mechanisms of green tea polyphenols with protective effects against skin photoaging. Crit Rev Food Sci Nutr.2017;57(8):1631-1637; PMID: 26114360. Lee KW, Kim YJ, Lee HJ, et al. Cocoa has more phenolic phytochemicals and a higher antioxidant capacity than teas and red wine. J Agric Food Chem.2003;51(25):7292-7295; PMID: 14640573. Williams S, Tamburic S, Lally C. Eating chocolate can significantly protect the skin from UV light. J Cosmet Dermatol.2009;8(3):169-173; PMID: 19735513.